Care For Some Grass Anyone? 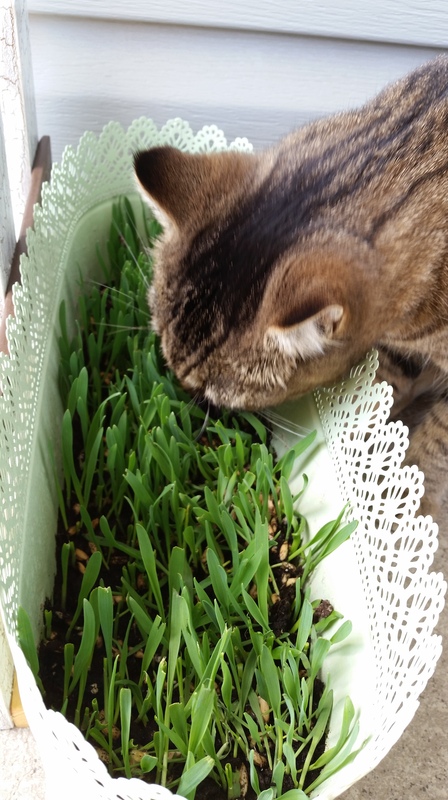 Last year, my mother in law bought me a beautiful bouquet of flowers and the minute I set it down on the table, Kitty pounced on it… Even thought I tried to keep her away from it, she managed to chow down some flowers. Needless to say, all this happy eating ended up in a pile of puke on the carpet a few hours later. Since then, I have never brought fresh flowers indoors. When we go out for a walk, she happily grabs mouthfuls of whatever it is that is growing out there. 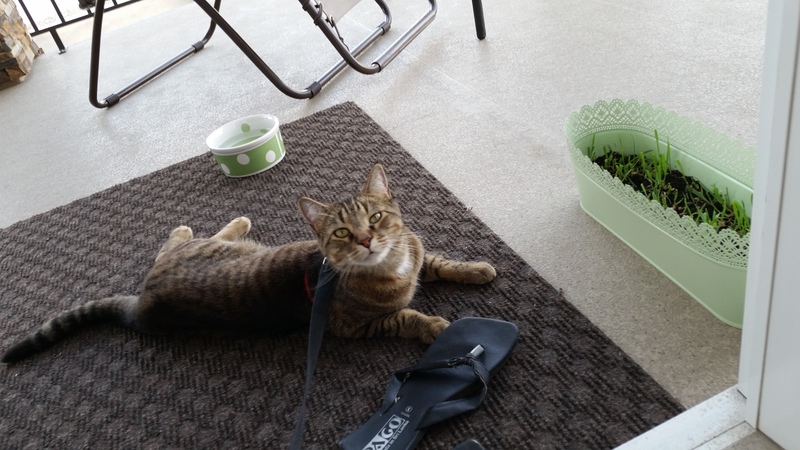 So no surprise,we don’t go on walks out to the garden too often now. 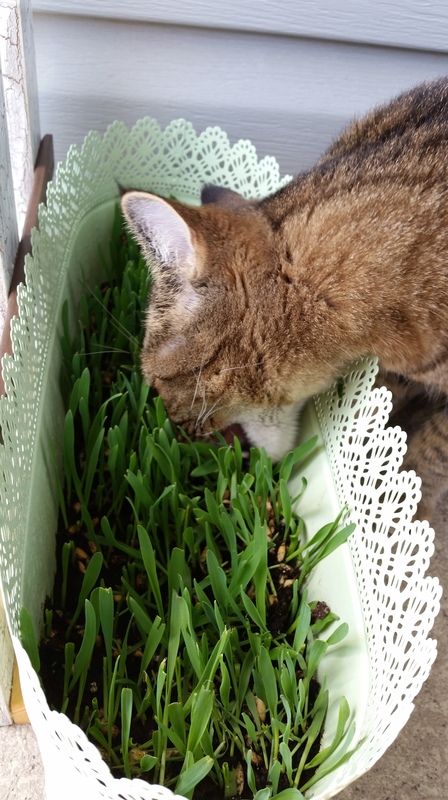 According to the many articles online, Cat Grass is a name used to describe different types of grass which are popular with cats. 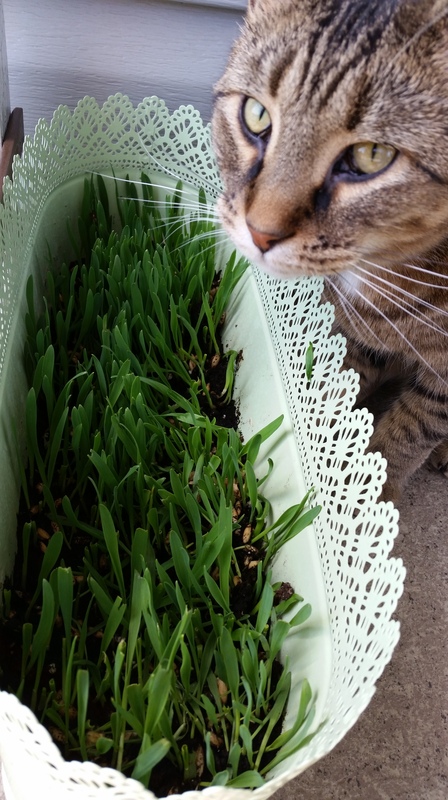 The most popular type of cat grass is Avena sativa, or the Common Oat. After having done some reading on this, I purchased a grow-it-yourself kit from the store. Unfortunately this didn’t work out so well. The plant wouldn’t grow even though I followed the instructions and eventually Kitty ended up pulling out all the roots and playing with the dirt. My next option was to try to grow this from scratch. So I purchased some good quality soil, a bag of seeds and a large container in order to get this done. 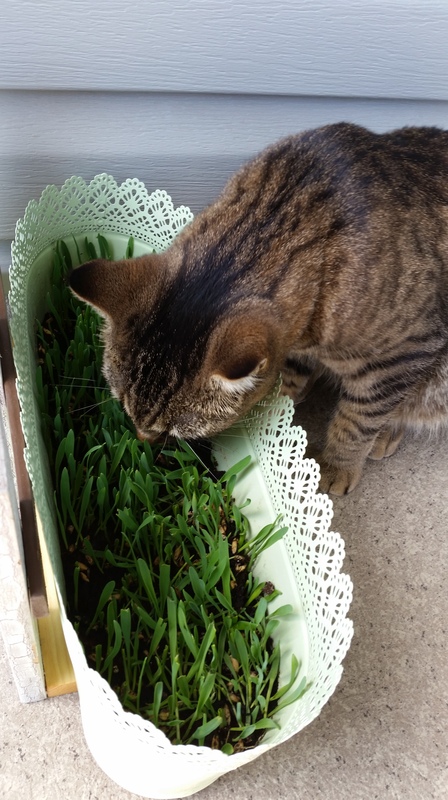 A week or so later, I could see the bright green grass beginning to sprout and soon, they were long enough for Kitty to enjoy them. 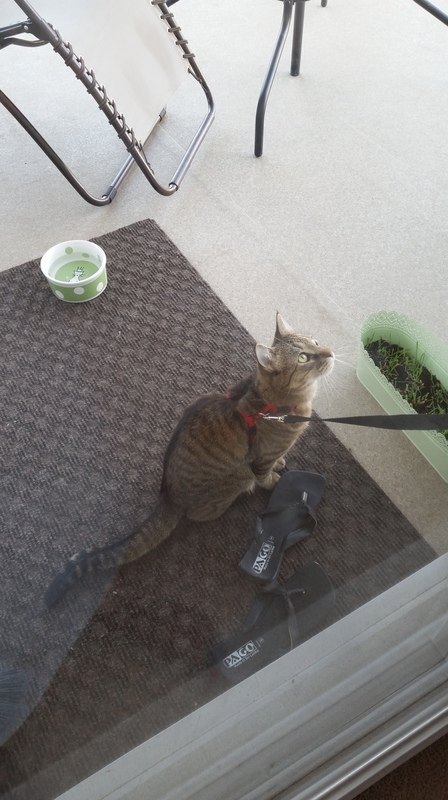 Every morning she goes out on to the balcony to enjoy her yummy treat. She slowly learnt not to pull them out by the root and now she just takes a bite off the top.